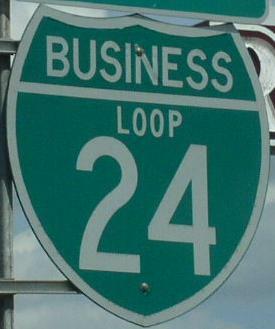 Business Loop Interstate 24 is located at Paducah. It is completly within Mc Cracken County. 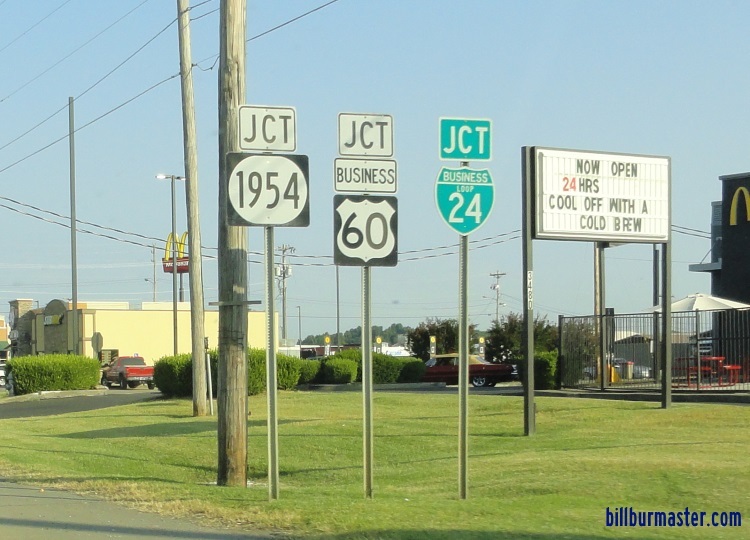 This is the only interstate business loop in Kentucky. 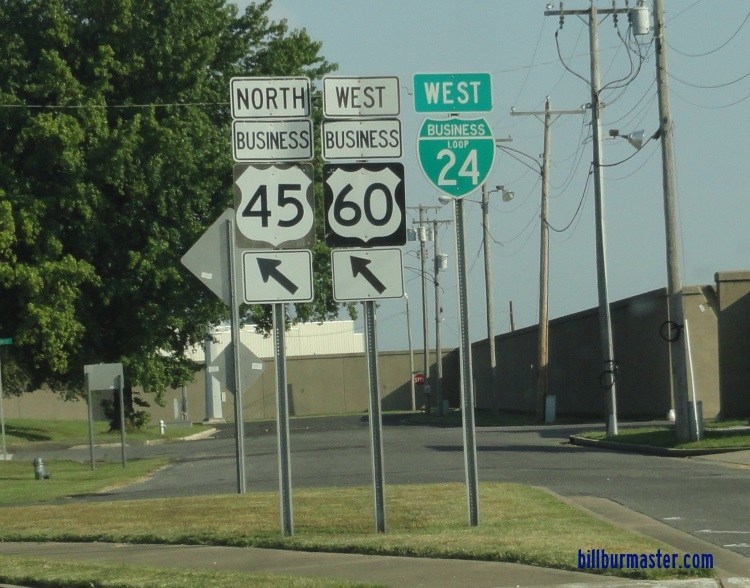 Plus, it is the only spur of Interstate 24. 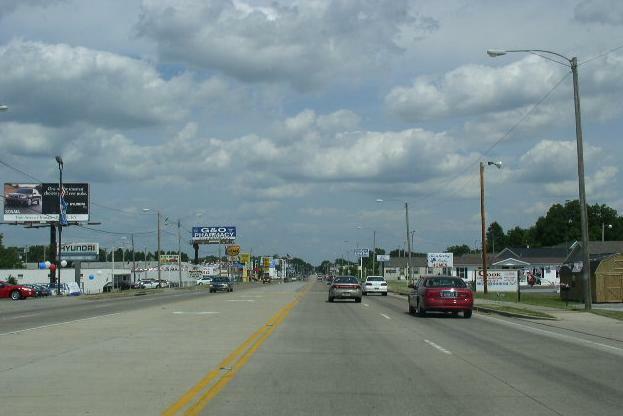 BUSN Loop I-24 passes through the following town in Mc Cracken County. 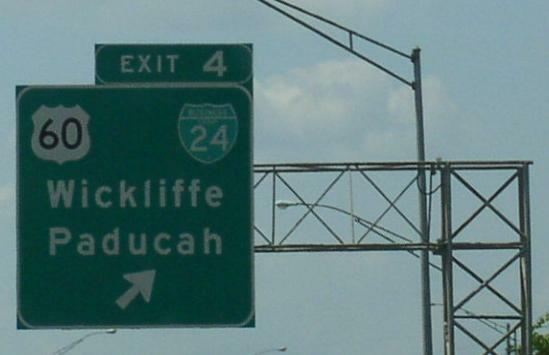 BUSN Loop I-24 is multi-plexed in Mc Cracken County. U.S. Rt. 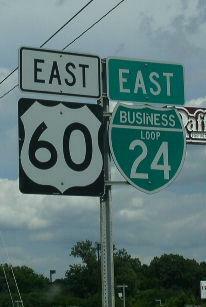 60, at Paducah. BUSN U.S. Rt. 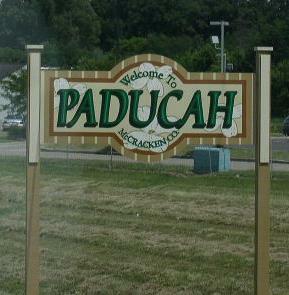 60, at Paducah. BUSN U.S. Rt. 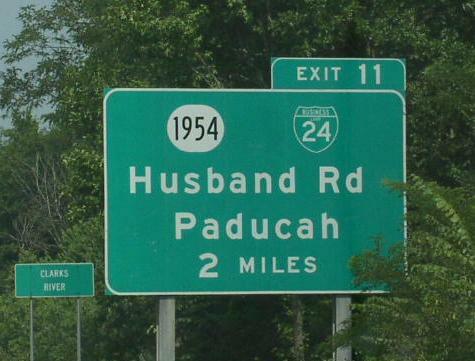 45, at Paducah. 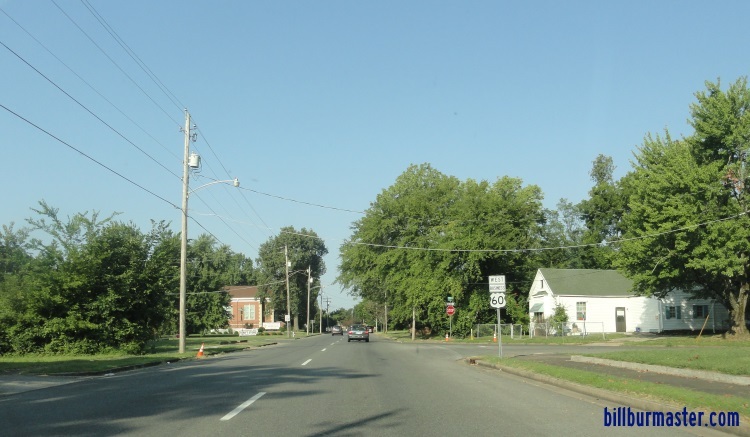 Kentucky Secondary State Route 1954, at Paducah. 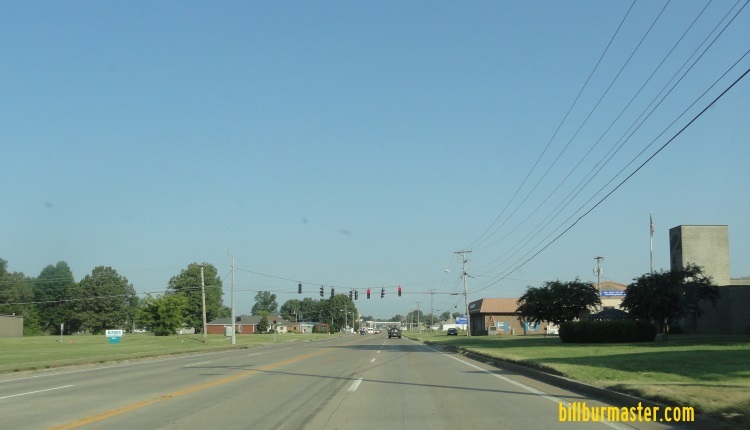 BUSN Loop I-24 intersects the following highways in Mc Cracken County. 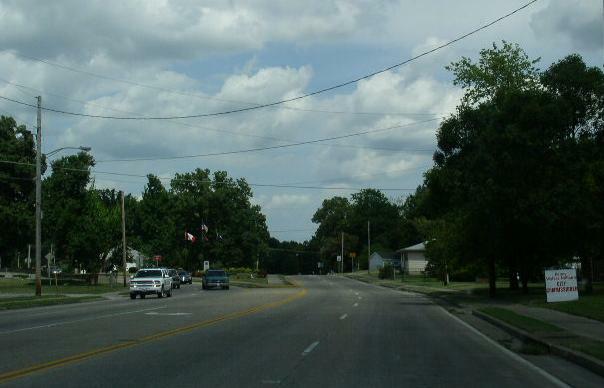 Kentucky State Route 731, at Paducah. U.S. Rt. 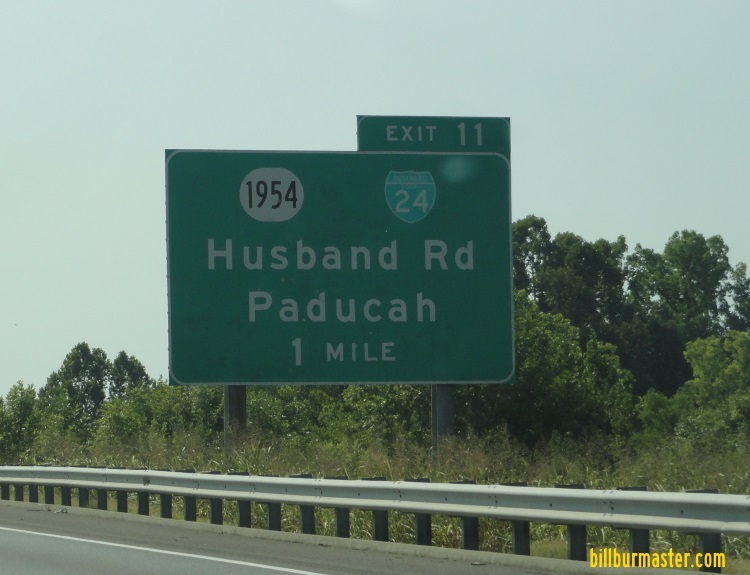 45, at Paducah. 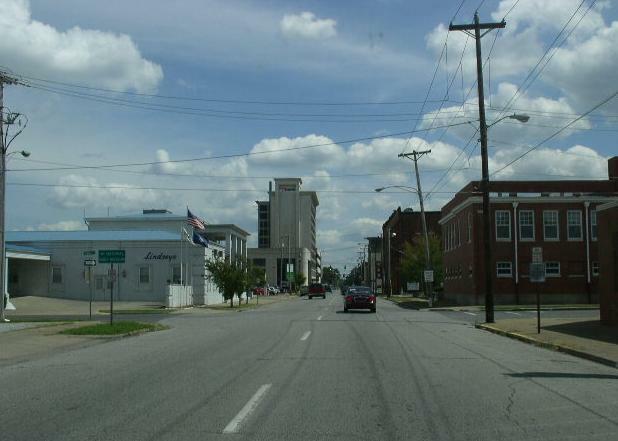 Kentucky State Route 305, at Paducah. U.S. Rt. 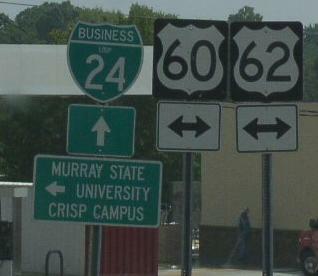 62, at Paducah. 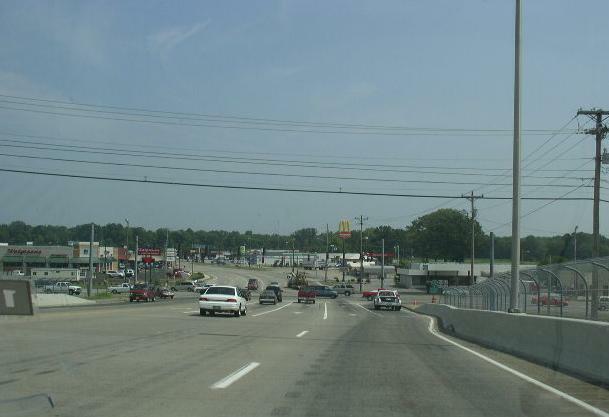 Kentucky State Route 284, at Paducah. 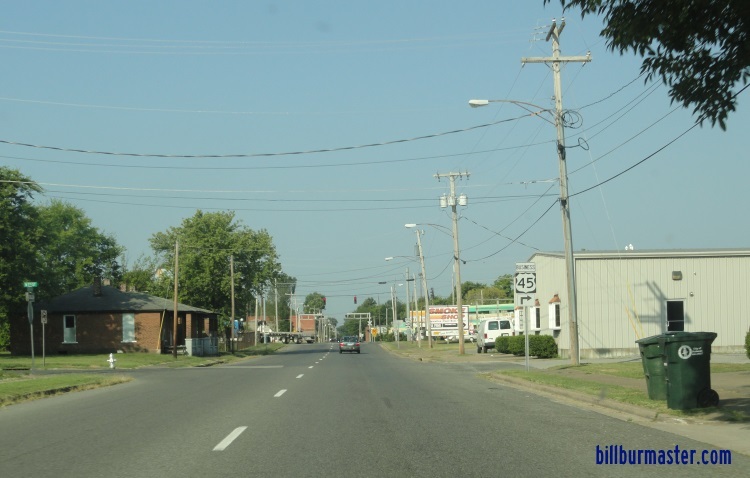 Kentucky State Route 450, at Paducah. 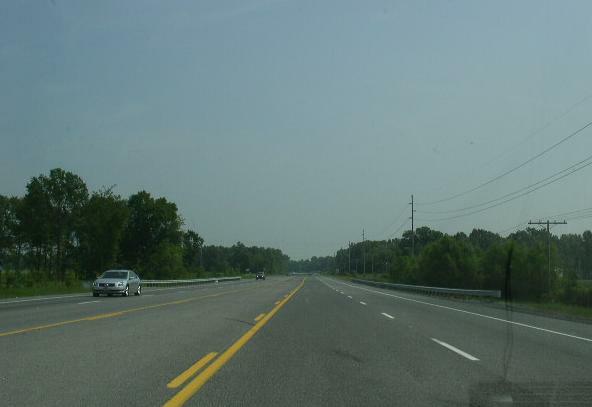 Kentucky Secondary State Route 2187, at Paducah. A BGS on WB I-24. A BGS on EB I-24. EB BUSN Loop I-24/U.S. Rt. 60 in Paducah, east of I-24. 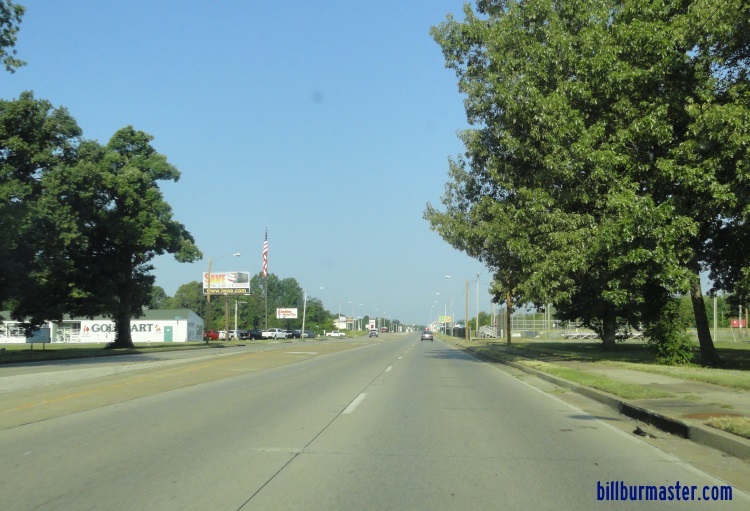 WB BUSN Loop I-24/U.S. Rt. 60 near Nelson Park. 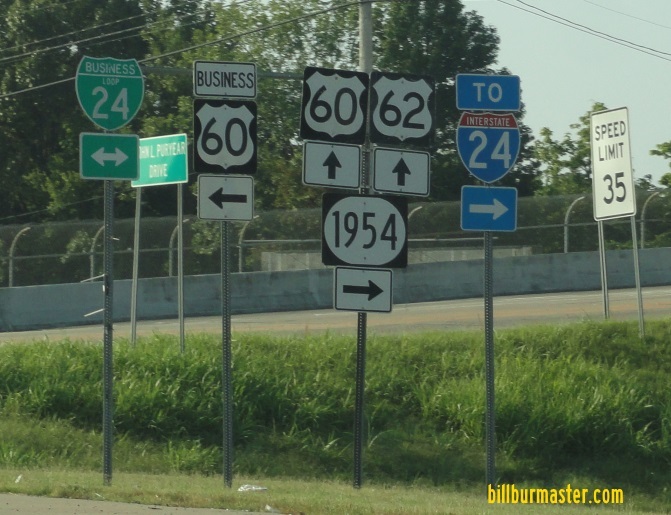 WB BUSN Loop I-24/U.S. Rt. 60 near Levin. 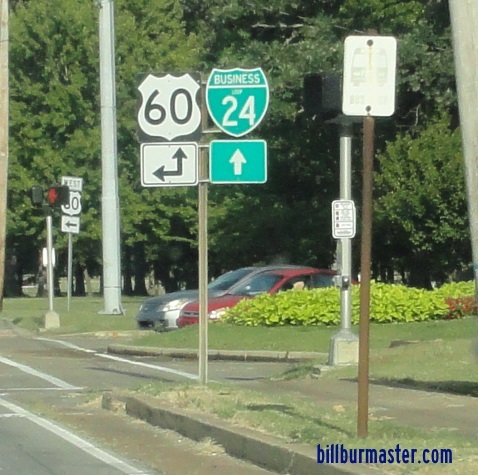 A guide marker on WB BUSN Loop I-24/BUSN U.S. Rt. 60. EB BUSN Loop I-24/BUSN U.S. Rt. 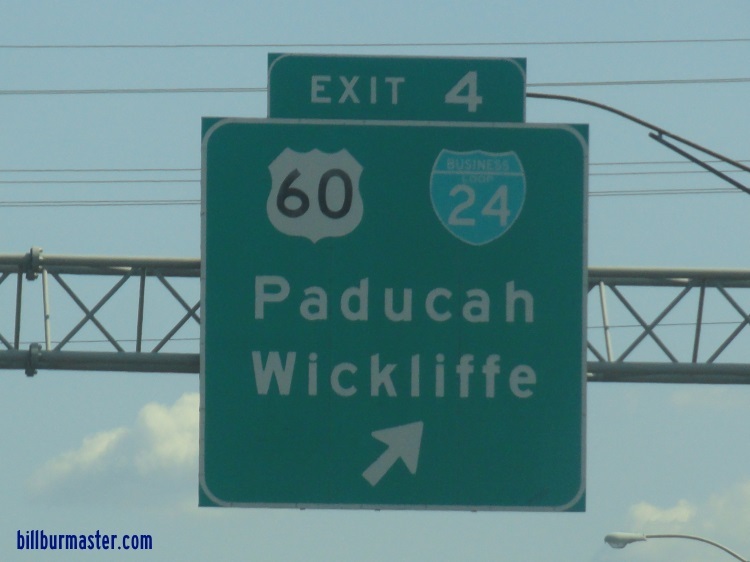 60 in Paducah near Fountaine Ave.
WB BUSN Loop I-24/BUSN U.S. Rt. 60 near Burnett. 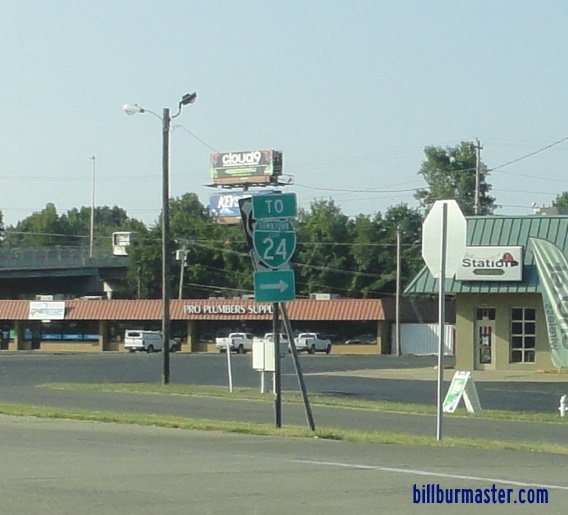 WB BUSN Loop I-24/BUSN U.S. Rt. 60 near Boyd. 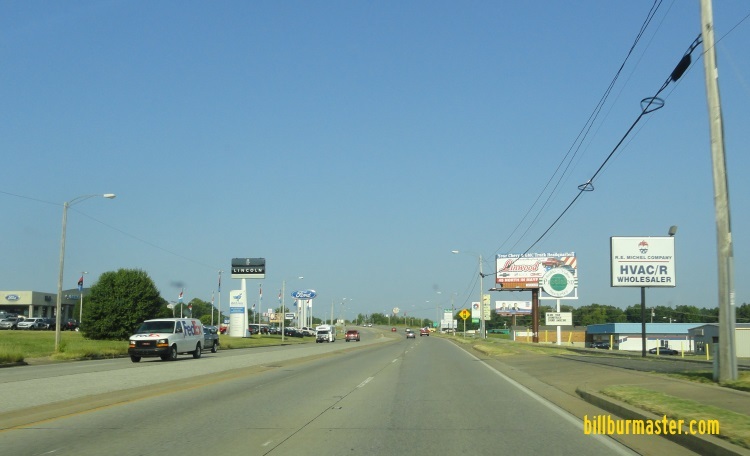 WB BUSN Loop I-24/BUSN U.S. Rt. 60; NB BUSN U.S. Rt. 45 near 7th. EB BUSN Loop I-24/BUSN U.S Rt. 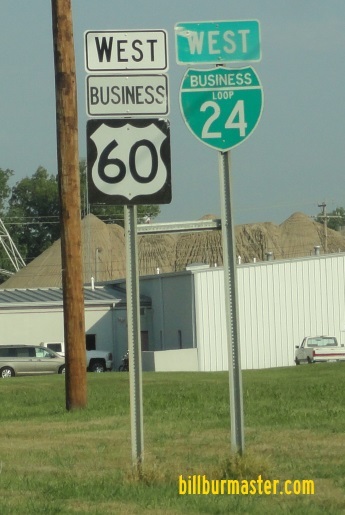 60; SB BUSN U.S. Rt. 45 in Downtown Paducah. 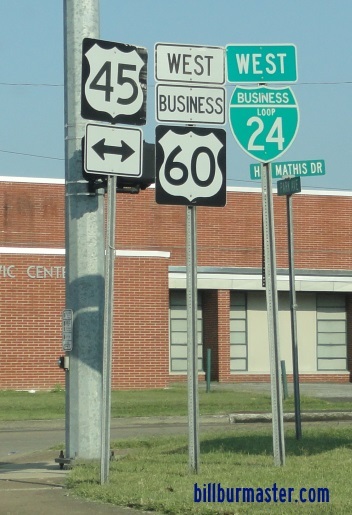 A set of guide markers in Paducah. 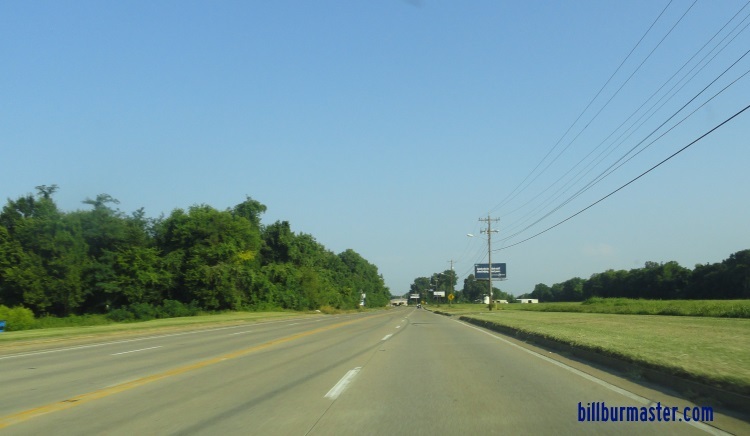 WB BUSN Loop I-24/BUSN U.S. Rt. 60 near Bethel Street. 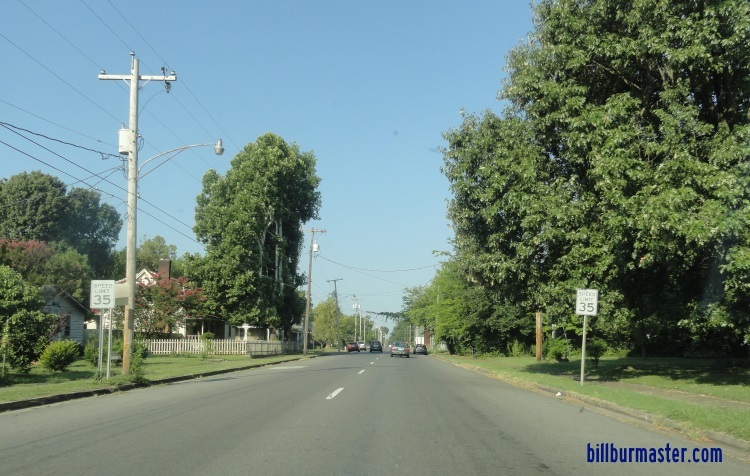 WB BUSN Loop I-24/BUSN U.S. Rt. 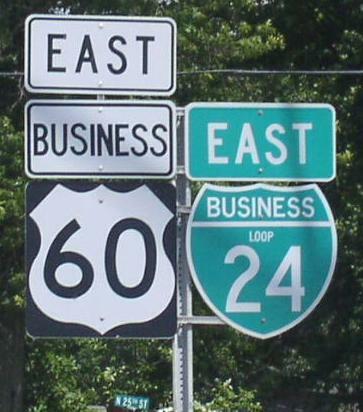 60 west of U.S. Rt. 60/62. 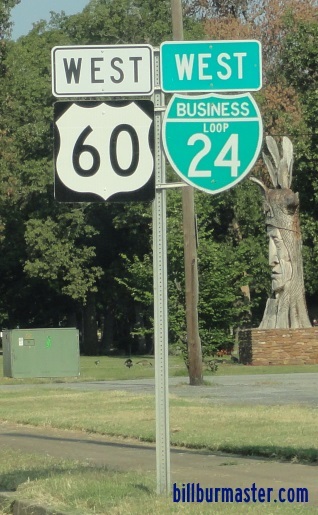 A remaining "DOWNTOWN" Loop shield. A junction marker on WB U.S. Rt. 60/62. NB BUSN Loop I-24/KY Sec St Rt 1954 near Tyler. NB BUSN Loop I-24/KY Sec St Rt 1954 north of I-24.